Tim Lucas / Video WatchBlog: The Rondos Are Coming! The Nominations Are Here! The Rondos Are Coming! The Nominations Are Here! 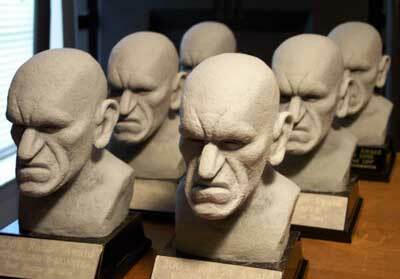 The much-anticipated ballot for the Fourth Annual Rondo Hatton Classic Horror Awards -- recognizing outstanding achievement in genre film, video, and journalism during 2005 -- is now posted on the Rondo website. I'm proud to announce that VIDEO WATCHDOG is the recipient of 9 NOMINATIONS this year... including a Best Website nomination for Video Watchblog! VIDEO WATCHDOG #115 (Harryhausen's Cyclops) and VIDEO WATCHDOG #120 (Larry Blamire as Dr. Paul Armstrong), both by Charlie Largent. "They Did Science! Dr. Paul Armstrong's Handy Guide to '50s Sci Fi Heroes,'' by Larry Blamire, VIDEO WATCHDOG #120. "Universal's Other Monsters: A Legacy Written in Gauze, Claws and Tana Leaves,'' by Bill Cooke, VIDEO WATCHDOG #118. "24 Monsters Per Second: The DVD Voyage of Ray Harryhausen,'' by Charlie Largent, VIDEO WATCHDOG #115. "Shades of Renfield: Ten Buzzing Performances,'' by Tim Lucas, VIDEO WATCHDOG #121. 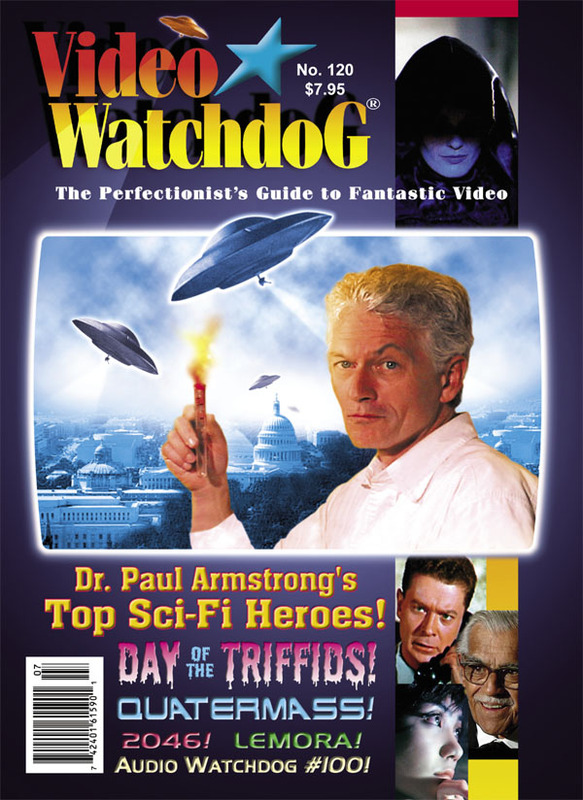 "Triffids on the March: from John Wyndham to the BBC,'' by David J. Schow, VIDEO WATCHDOG #120. Incidentally, if you haven't read these articles and would like to consider them for your vote, you can get samples of each of them by clicking on the issue numbers above, which will take you to a choice of spreads from inside each issue. Just click on the one you want to read to enlarge the text and you'll get a generous inside peek. I was additionally nominated (with John Phillip Law) for Best DVD Commentary and VW's own Stephen R. Bissette was recognized in the Best DVD Extra category for his "From Fumetti to Film" featurette -- both on Paramount's DANGER: DIABOLIK DVD. Set some time aside today to visit www.rondoaward.com and check out the other fine folks and things on the Rondo ballot -- and cast your vote for your favorites! You can also discuss the nominations and suggest possible write-in candidates in the Rondo folder of the Classic Horror Film Boards!